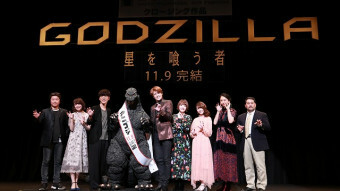 Tsutumi and the main cast of the film had just come from a thronged greeting event in the Roppongi Hills Arena, where fans took selfies and excitedly received autographs. 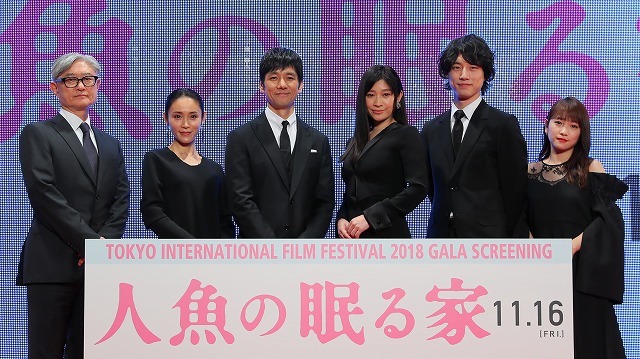 Some of them had also come to the theater, and were yelling “Ken-chan!” for one of the hot young stars of the film, Kentaro Sakaguchi. 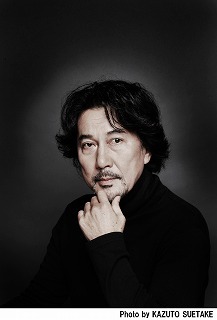 Based on the 2015 bestseller of the same name by Keigo Higashino, marking the 30th anniversary of his career, The House Where the Mermaid Sleeps begins as a family drama and transforms into an increasingly disturbing mystery film, revolving around a fatally injured child and a mother whose love leads to madness. Kaoruko Harima (Ryoko Shinohara) has two children, whom she dotes on. She’s separated from her husband Kazumasa (Hidetoshi Nishijima), the owner of a company producing high-tech robotic support systems for the handicapped. They’re planning to get a divorce once their daughter Mizuho (Kurumi Inagaki) enters elementary school. During a meeting related to the entrance exam, they learn that Mizuho has fallen into a coma after a near-drowning accident in a pool. 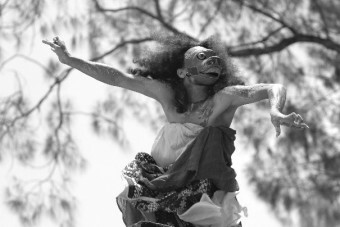 Rushing to the hospital, they are told she is brain dead with no prospect of recovery. They are given the choice of donating Mizuho’s organs to others in need, or waiting until her heart stops beating. After an agonizing process, the couple decides on the first option. But as the family is gathered to say goodbye, Kaoruko sees her daughter’s hand twitch and is unable to accept the reality of her death. She presses Kazumasa to help with Mizuho’s “recovery,” and he relents, assigning a young scientist in his company, Yuya Hoshino (Kentaro Sakaguchi), to pursue advances in “artificial neural connection” technology. They install Mizuho on a life-support system based on muscular stimulation, and it does not just maintain the little girl’s beautiful suspended state, it gradually begins improving it. Soon, Kaoruko and Yuya have embarked on a path that deeply troubles all those around them. Nishijima praised his costar. “Since this is a film about families and children,” he said, “I think there’s much more depth and gravity in her performance because of her real-life experiences. 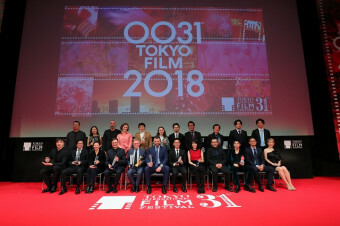 Following the world premiere of the film at TIFF, The House Where the Mermaid Sleeps opens in Japanese theaters on November 16.